Follow Me (And My Mom) On Our Mother’s Day Trip To Chile! Back in February, I bought my mom (and myself) a Mother’s Day present of $900 roundtrip business class tickets from New York to Santiago, Chile, when there was an amazing fare deal on LAN. 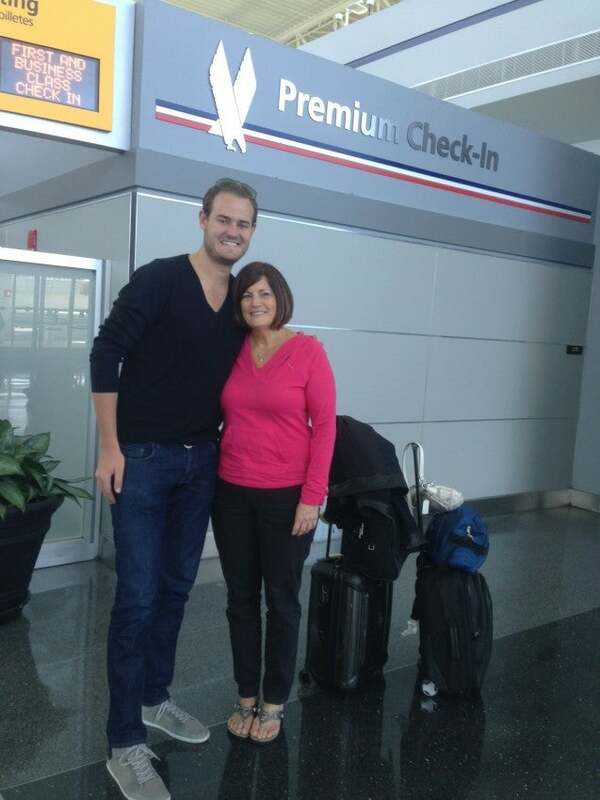 Checking in with mom for our trip to Chile! We just started our trip and we’re on our way to Santiago, so I wanted to reach out to readers for suggestions on what to do in the city. We have two full days there total and are looking for fun, interesting stuff to see and some restaurant recommendations. I imagine our first day we’ll be pretty tired – we get in around 6:00 in the morning and are taking advantage of my SPG Platinum YOUR24 benefit (which came through for once!) to check in upon arrival, so we’ll probably just want to walk around and have a leisurely lunch – maybe seafood at Donde Augusto at the Mercado Central, but other than that, we don’t have any plans yet. I called out for Easter Island suggestions a couple weeks ago, so we’re all set for what to do there thanks to all the great reader comments that came in and PhilaTravelGirl’s suggestions, so I was hoping that I’d get some ideas from all of you about our time in the big city. We’re actually thinking about taking a bike tour through wine country about 45 minutes outside the city if anyone has suggestions or an opinion on that, but would also like to explore Santiago as much as possible, so send in your thoughts. Meanwhile, I love interacting with readers through social media and getting up-to-the-minute updates and suggestions on where to go and what to do, so I’ll be posting about all the things we see, eat and do on Facebook along with posting pictures on Twitter and my Instagram feed, so be sure to follow me and help me make the most of my time in Chile!